Immortal Romance first hit our computer screens back in 2013 and despite it being almost five years old now, this online slot by Microgaming is still hugely popular among players at the online casinos. Why? Because this 243 ways-to-win online slot has the potential to pay you more the longer you play it. Through its excellent game features that give you better bonuses the more times you unlock them during a gambling session, there is the chance to land some incredibly hefty payouts that could be as much as the top payout of 1,500x your total stake. Immortal Romance has an RTP of 96.86% and can be considered a medium variance slot that will pay out fairly regularly. This alongside the excellent features it has is the main reasons why you should be playing it. Carry on reading this short review to find out why we rate Immortal Romance so highly and why we suggest you go and check it out. If you are a fan of movies such as Twilight that involve love stories between immortals and mortals, you are going to love this theme. If you are not a fan, does it even matter when you consider the excellent features that you can unlock in this online slot. Graphics wise Immortal Romance does well without looking spectacular but as mentioned, it is the game’s features that is what really makes this slot one of the best around. Still, it does look good and there are no problems with the animations either. Sound wise this slot is adequate as well but if you are like us, we normally turn off the sounds when playing slots anyway. The main symbols you will want to land in winning combinations on the reels are the four character symbols, the manuscript, and the large house. They are where the better payouts will come from while the playing card symbols will be responsible for paying out the smaller amounts. The games logo is the wild symbol on this online slot while the door knocker is what represents the scatter symbol that unlocks the games fantastic main feature. Betting on Immortal Romance is very straightforward as it is a fixed payline slot. All you have to do is change up the coin values in order to establish your spin bet between the minimum of 0.30 and the maximum of 300.00. The Wild Desire bonus game is the first feature we will talk about on Immortal Romance and this is activated completely randomly. Once this game activates, it will turn between one and all five reels completely wild. This obviously gives you at getting yourself some decent payouts. If you manage to turn all five of the reels completely wild, you will land yourself the max payout due to winning across all 243 ways-to-win. The biggest selling point for Immortal Romance is the Chamber of Spins bonus feature. This is an excellent feature that rewards players more the more times they have unlocked during their session at the slot. In order to activate this bonus feature, you need to find at least three scatter symbols anywhere on the reels. 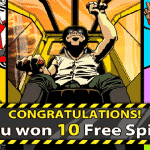 When you do, you are able to pick from between four different free spins rounds as long as you have unlocked them. For the first five times you activate this round you will only be allowed to select Amber but as you pass milestones of activating the round five, ten and fifteen times, you will also be able to choose Troy, Michael and Sarah respectively. Amber – With Amber you will get ten free spins with a 5x multiplier attached to any wins. Troy – Troy gives you fifteen free spins but you can also see a randomly activated feature where vampire bats swarm the reels and randomly turn symbols into multipliers of 2x and 3x. Michael – Michael will give you twenty free spins but also with a rolling reels feature. Whenever you land a win, the symbols involved will turn into some other symbols to help you possibly land more wins. For every continuous win, a multiplier will also increase by one starting from 1x. Sarah – Once you have managed to unlock Sarah and chosen her, she will give you twenty-five free spins with an additional Wild Vine bonus symbol being added to the middle reel. Once this wild symbol lands during the free spins round, it will turn a random number of symbols on the reels into more wild symbols that could net you multiple wins. 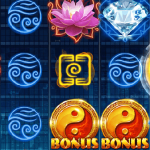 Furthermore, you can earn an additional 1, 2, 3, 4 or 5 free spins by landing between two and five scatter symbols. As you can see, the longer you play the game and activate the free spins round, the number of free spins increases and you will also have better bonuses attached to them. Immortal Romance shares a lot of similarities to Thunderstruck 2, another excellent online slot by Microgaming. Both reward players the more that they play and with this aspect of each of them, it really is no surprise that both of them are so popular among players. If you ever plan to enjoy an extended session at the online casinos, playing an online slot like Immortal Romance is going to be your best option. This is mainly down to the growing potential the more times you unlock the main bonus feature. We absolutely love this online slot as do millions of other players and even brand new slots that are released are usually unable to compete with what this one has to offer. Most of you will have probably played this online slot already but if you haven’t, you really do not know what you are missing out on. Go and check it out as you will not regret the decision due to the excellent gameplay and fantastic bonus features that Immortal Romance will give you.